Louise Fromont will participate in the Conference “Austerity on trial. 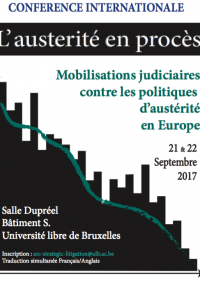 Legal mobilizations and austerity policies in Europe“. The Conference will take place in Brussels on September 21-22. Louise will present her researches on the the case-law of the Court of Justice of the European Union related to austerity policies.